for $1,425,000 with 4 bedrooms and 2 full baths, 2 half baths. This 4,788 square foot home was built in 1997 on a lot size of 0.36 Acre(s). Pines Lake! 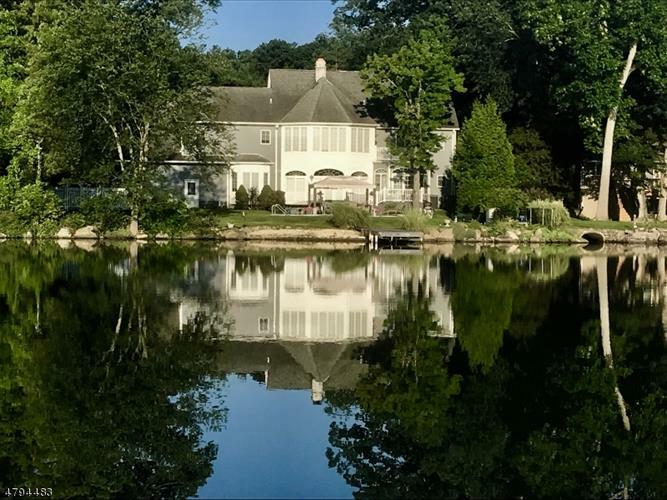 Beautiful lakefront home with an inground pool overlooking the lake! This spacious home features soaring ceilings in many rooms plus walls of windows to capture the beautiful view! The 2 story entry foyer opens to the 2 story living room with dual fireplace and flows into the family room overlooking the lake. There are doors to rear patio and pool. The kitchen with an island and breakfast bar opens to the lovely dining area with a wall of windows framing the view. The formal dining room, a billiard room and a den complete the first floor entertaining / living space. The second floor master has a stunning view, a private deck, a walk in closet dressing area and a new bath. An adjacent bedroom connects to a bonus room, plus there are 2 additional bedrooms and a full bath. Waterfront dock!